Sydney is currently a third-year Occupational Therapy student at the University of Queensland, Australia. She can attest to these opportunities, having reaped their enriching benefits personally. Another healthcare scholar who stands by MOHH and its scholarship is Marcus The, third-year Chemistry student at the National University of Singapore (NUS). Even before starting their undergraduate degrees, both Sydney and Marcus had opportunities to meet with fellow healthcare scholars at leadership camps, engage with industry leaders at a healthcare induction course, and reinforce their sense of empathy through service learning programmmes. “The healthcare induction course was a memorable time for me. As fresh healthcare scholars, we had to learn as much as we could in a short amount of time, and we did. We learnt not just from the guest speakers and cluster representatives, but also from each other as individuals. Each person brought different skills, approaches and a unique dynamic to the healthcare family, and it was comforting and empowering to meet people with the same motivation and interests,” Marcus recalls. Consequently, during their undergraduate years, the duo continued to soak up learning experiences. One of their biggest learning takeaways was from their Overseas Community Involvement Project (OCIP) in Cambodia. 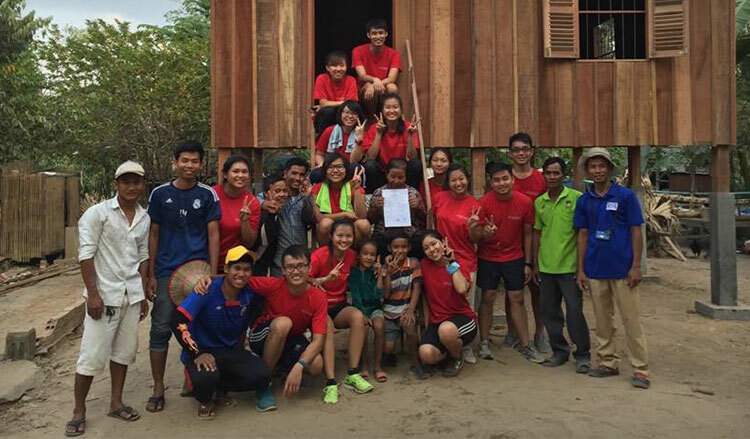 Throughout their five days at one of the poorest villages with very limited resources in Phnom Penh, their CIP team was tasked to build a house for a family of three. “It was truly an enriching and eye-opening five days, having been exposed to the world outside of my own sheltered home and the understanding that more can be done to help those in need,” says Sydney. Apart from OCIP activities, healthcare scholars like Sydney and Marcus are also given opportunities to go for international conferences, student exchange programmes and vacation attachments. To prepare scholars for their varied roles after graduation, MOHH ensures that re-entry programmes are in place to keep scholars up-to-date about the industry’s latest developments. Senior healthcare leaders also guide scholars towards a solid understanding of strategic and policy considerations at the ministry level. There will also be various opportunities to participate in dialogue and networking sessions with senior healthcare leaders and internalise their wise advice and perspectives about working within a big multi-disciplinary healthcare family, ensuring that scholars’ awareness of issues in the healthcare sector is heightened and ready to propel them forward. But these opportunities are meaningless if scholars don’t possess the willingness to learn. “There is just so much more to learn and improve ourselves on in terms of our clinical skills and people skills. There will be people from all walks of life that healthcare scholars will be working with throughout our degree programme and career, so it is important to adopt an open mind through your learning journey!” says Sydney with fervour.